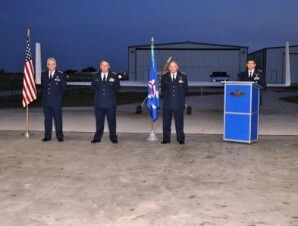 The Civil Air Patrol Squadron in Denton welcomed a new commander during a change of command ceremony held April 20, 2015 at the Woolfolk Hangar, 4833 Spartan Drive at the Denton Enterprise Airport. Captain Mark Hammack assumed the top leadership role from outgoing commander Major Steve Robertson. 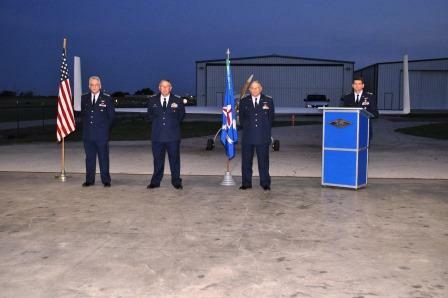 The ceremony was presided over by Lt Col John Keizer, Commander of the Texas Wing Group VI. The Nighthawk Composite Squadron meets on Monday nights, from 6:30-9 p.m., at the Denton Enterprise Airport. Information on the squadron may be found at www.dentoncap.org .